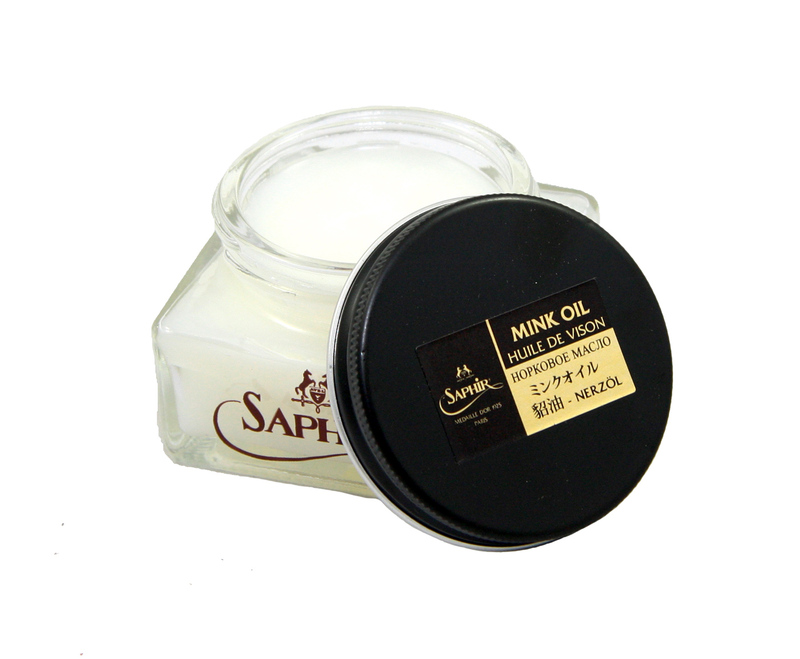 The Saphir Mink Oil is a non greasy pure mink oil conditioner that allows for a deep nourishment to the leather surface while softening and protecting it. Because it is made of 100% refined mink oil, this conditioner does not leave any residual oils unlike traditional greasy conditioners. Make sure shoes are clean and dust free. 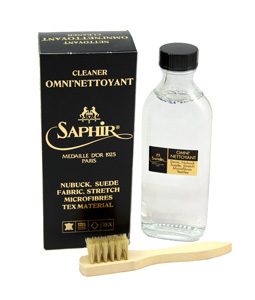 Apply product using Saphir Chamois Cotton Cloth or a clean dry cloth and as with any Saphir product, less is more. Let the conditioner penetrate for 10-15 minutes. Buff off the leather using a horsehair brush. 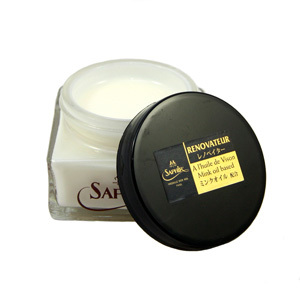 For best results apply Saphir Pommadier cream after conditioning. 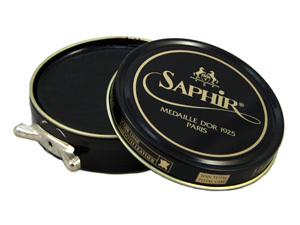 *The Saphir Mink oil is very nourishing that it might darken some leathers, we recommend spot testing on a hidden part first.